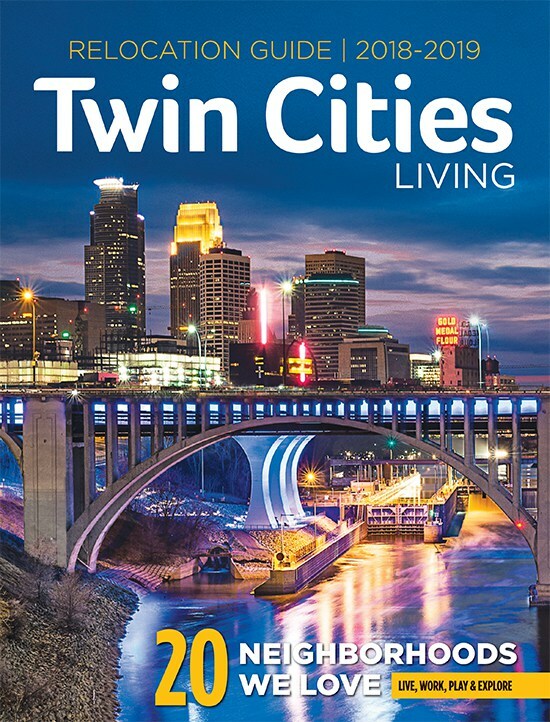 • Character: Lowertown, the classic artists’ hub, is awakening from a deep, dark slumber to become the Warehouse District of St. Paul, albeit with more art and fewer nightclubs. What began with a ring of restaurants and bars around Mears Park now has developers leaping over one another, spurred by the Light Rail, the revival of Union Station, and a new Saints stadium. All those construction cones, locals insist, are a harbinger of good. • Food: Locally loved, nationally known Heartland favors organically grown food from local farmers. The casual elegance of Tanpopo Noodle Shop has made it a favorite of artists, whose other nexus is the Black Dog Coffee and Wine Bar. The Amsterdam Bar & Hall is the place for craft beer and music. And Barrio’s Lowertown outpost lures in the happy-hour crowd with its fresh guacamole. 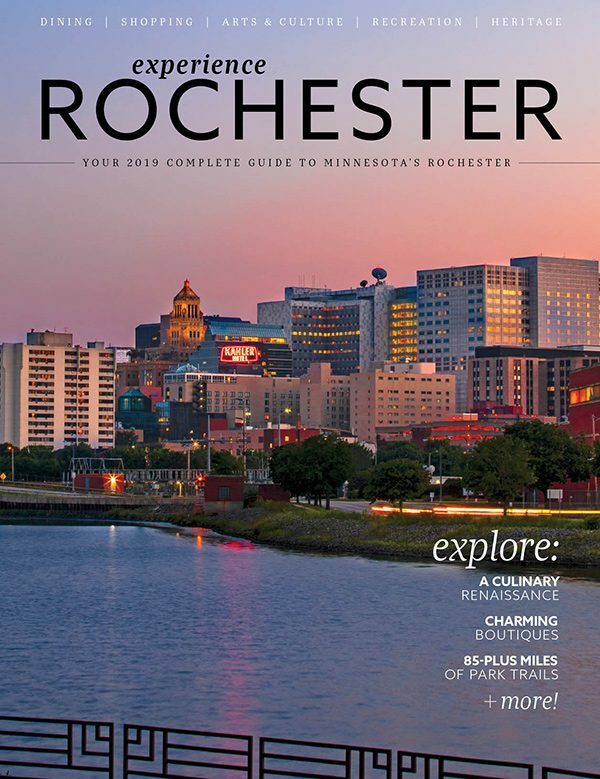 • Shopping: Many of the area’s top restaurants source their food from the St. Paul Farmers’ Market, and visitors should start there, too, for fresh baked goods and live music—and stop back for produce before leaving. Start in on the galleries and studios during Lowertown First Fridays; it’s hard to beat the Northern Warehouse and Tilsner buildings, the original revamped artist co-ops, for atmosphere. • Culture: Along with the spring/fall art crawls, the neighborhood’s biggest draw is its three-day Jazz Festival, June 27 to 29, which has attracted such top national acts as Esperanza Spalding and Chick Corea. The Baroque Room goes retro (like really retro) with chamber-music concerts, lectures, and recitals—a true 21st-century salon. • Green space: The Bruce Vento Nature Sanctuary is perhaps the best place for skyline views, but that’s not why locals come here: the 27-acre park is, well, a sanctuary in the city. There are soaring bluffs, prairie grasses, and a cave—the Wakan Tipi—that’s sacred to the Dakota. Plans to connect the neighborhood to the nearby Mississippi River are still in the works. I’m from Hoboken, and sometimes I like to think of Minneapolis as Manhattan—a very cosmopolitan place—and Lowertown as Brooklyn. What you see here is a groundswell generated from the artistic community. That gives us a different kind of energy. There’s diversity, both cultural and economic, and there’s a lot of integrity. You can see that in the architecture, which we’ve generally preserved. You can see that at the farmers’ market, which is the heart and soul of Lowertown. It’s a real farmers’ market—you can’t go there and buy oranges. And we have some of the most incredible events, like the Twin Cities Jazz Festival, and Concrete and Grass. With so much development slated between now and 2015, we’ll have even more street vitality. For a long time, we had too much parking and not enough people. That’s beginning to flip-flop, but it’s a problem we’re happy to have. 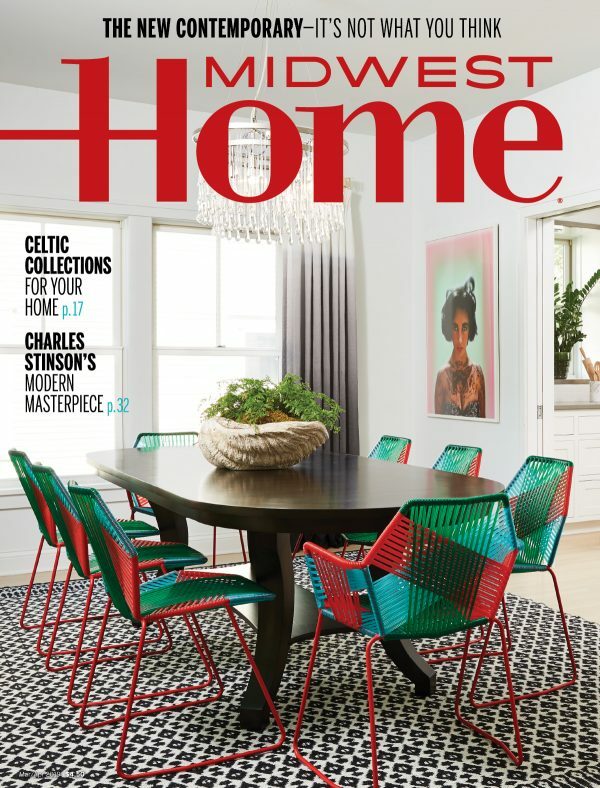 • Character: The Warehouse District is a misnomer now, of course—the neighborhood trades in cool these days—and the preferred name for the streets behind the clubs of First Avenue is the North Loop. Recent retail and restaurant additions have cemented the neighborhood’s trendy rep without damaging its historic roots, a respect for heritage that’s reflected in the store windows. 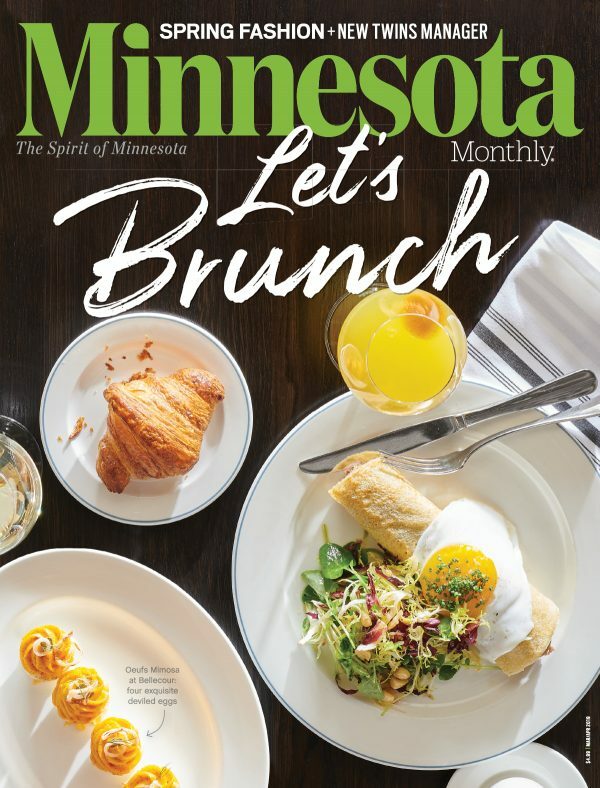 • Food: The Bachelor Farmer and its subterranean Marvel Bar are lively at night, but locals know to come for the restaurant’s terrific smørrebrød brunch. 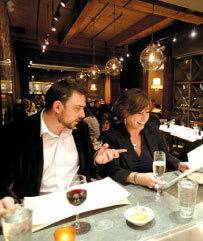 There’s unparalleled Italian at the nationally known Bar La Grassa . And two newcomers are solidifying the North Loop as the city’s hottest dining hood: the gourmet pub Borough and the casual seafood joint Smack Shack, which has the area’s best patio. • Shopping: Men looking for distinguished, well-curated clothes—directional fashion, if you will—have discovered Arrow , run by former Intoto colleagues; Askov Finlayson, the Dayton brothers’ laid-back sartorial shop attached to the Bachelor Farmer; and the vintage clothing at MidNorth Mercantile, where proprietor Mustache Mike offers beard trimming and straight-razor shaves in the back. The sweet old condos around here are stocked with bed, bath, and kitchen products from The Foundry Home Goods. • Culture: Baseball at Target Field is a cultural experience of a sort, and so is Acme Comedy Club. But the Lab Theater is a community landmark, offering everything from dance to popular musicals to experimental theater. Perhaps the most galvanizing theatrical experience in town is the Interact Center for Visual and Performing Arts, showcasing the skills of artists with disabilities. 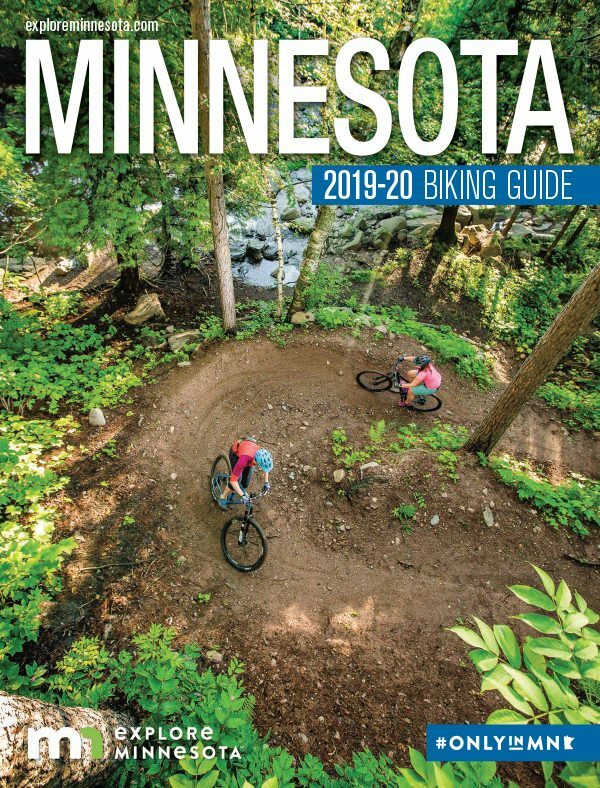 • Green space: Unless you count the grass at Target Field, the only green space around here is the Mississippi River , which is increasingly accessible in places, particularly for cyclists, runner, and walkers. When I came here, in 1976, the North Loop was still mostly warehouses—the Soo Line warehouses, the Creamette Building, some railroad land. There were lots of trucks, and there was a working foundry pouring aluminum. Some people didn’t feel it was safe, and it certainly wasn’t the kind of destination that it is now. But slowly, condominiums came in, and more recently, Target Field. And of course, The Bachelor Farmer was really what helped put the stamp of approval on this neighborhood. There’s quite a bit of foot traffic now. It’s finally enough that it can support small retail businesses, and they’re popping up everywhere. Come down to walk around and look in all the windows. Then walk along Washington Avenue and Second Avenue and look up: the first floors have been remodeled over the years, but the second floors and above have beautiful stonework and brickwork. • Character: The author of The Great Gatsby couldn’t wait to leave (Fitz’s childhood home: 599 Summit), but most current residents feel differently. In fact, the area is besieged each spring by would-be buyers hoping to settle in one of the Cities’ oldest, most elegant neighborhoods, now with a hip strip at Selby-Dale. • Food: The intersection of Selby and Dale is a veritable cafeteria, with W.A. Frost still representing genteel old St. Paul (the patio remains the Cities’ benchmark) and La Grolla hosting the kind of seasonal wine dinners that offer instant foodie cred. Cheeky Monkey Deli has pot-roast sandwiches and Amish-chicken dinners. The deli at Mississippi Market is the lone health-food stand, while the Muddy Pig, with 50 beers on tap nightly, is something of the opposite, drawing craft-beer pilgrims despite the stuff’s new ubiquity. • Shopping: Boutiques and shops line Selby Avenue, including some of the most specialized anywhere: BlackBlue , where denim is a topic worthy of graduate study; Solo Vino, where 95 percent of the bottles are imported. Locals spruce up dinner parties with fresh tulips from Fleur de Lis and red-velvet cupcakes from A Piece of Cake bakery. • Culture: The manse built by James J. Hill (in the shadow of the Cathedral of St. Paul, despite his hopes for a vice versa) hosts tours and semi-regular classical concerts, as though it were still 1900. At the opposite end of the cultural spectrum is the St. Paul Curling Club, where generations of locals have wielded brooms, stones, and a frostbitten faith that this Scottish shuffleboard-bocce hybrid is sport. Those who can really glide on their feet—or are hoping to learn—can be spotted salsa dancing in the glass storefront of Arthur Murray dance studio. • Green space: Local kids run around charming Boyd Park (while their parents read Fitzgerald, presumably). Visitors are often taken to the terrace at Summit and Arundel to check out the view: St. Paul and the Mississippi laid out before you. I was working in Frogtown and living in Minneapolis when a co-worker invited me to dinner at her apartment in Cathedral Hill. I thought, This is amazing! It’s like America in the movies! Huge trees hanging over the street, old Victorian houses with flower beds, friendly neighbors who say hello while they’re out walking their dogs. It’s totally Meg Ryan-Tom Hanks territory. It’s very community-based. When I go to Nina’s Coffee Café, the baristas know what I usually order. When I go to Sweeney’s, they remember that I don’t like chicken on my nachos. Across I-94, on University Avenue, there’s great, cheap Vietnamese at Trieu Chau, the produce is really good at Sun Foods, and during the summer I can shop at the Hmong farmers’ market. Cheeky Monkey has great grits and $1.50 mimosas on Sunday mornings. There’s also history. I love knowing that F. Scott Fitzgerald grew up in my neighborhood. • Character: Tucked between Lake Harriet and Lake Calhoun, the eminently walkable Linden Hills is tightly knit, smart, eco-friendly (density advocates may quibble), and committed to maintaining its independent shops and eclectic charm—to the point that last year it secured a temporary moratorium on large-scale development. • Food: Steven Brown’s Tilia continues to pack in crowds, while The Harriet Brasserie offers a quieter respite with crawfish and grits. Locals on the move grab the roast-beef sandwiches at Clancey’s Meat & Fish. Families ramble around the patio of Sebastian Joe’s—the caramel-banana-chocolate chip Pavarotti goes down easy—like it’s their own backyard. • Shopping: Wild Rumpus , the independent children’s bookstore, has yet to be tamed; the animal denizens, including Carl Sagan the rooster and Daniel Handler the cat, still roam free. Adults are charmed, kids lose their minds, and everyone finds at least one must-have book. The tot tour continues at Creative Kidstuff while adults hit Twiggs Home & Garden, which accounts for much of the tasteful décor around here, from linens to lanterns. France 44 Wines & Spirits is as much a gathering place as a liquor store/deli, with locals stopping in for the frequent tastings before walking out with a few fine bottles and a wedge of artisanal cheese. • Culture: Harriet Bandshell —that’s all you need to know. Come early if you want a prime spot for summer shows. The scene stretches beyond the music, with lake-painting artists, clots of teens, and the occasional wedding providing prime people-watching. 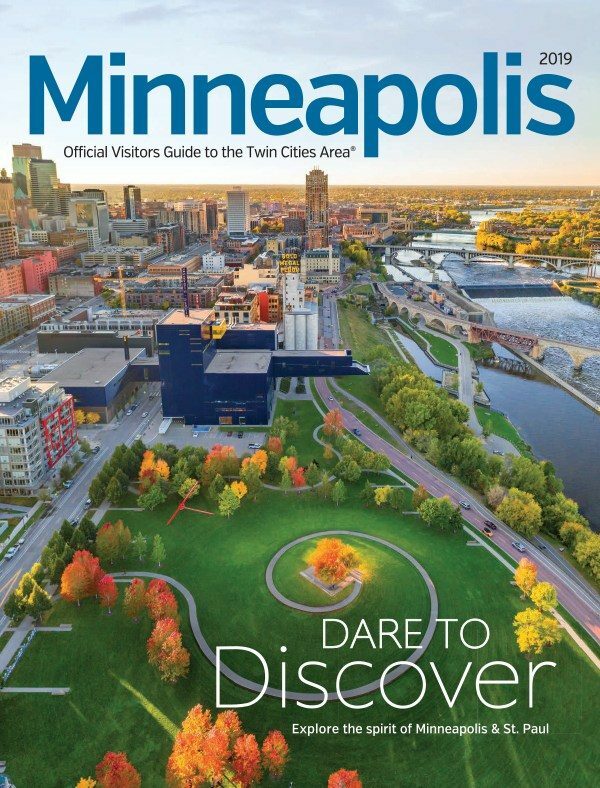 • Green space: If Lake Calhoun is the six-pack-sporting college kid, Lake Harriet is the latte-sipping, stroller-pushing mom. Get out on the water any way you can—lucky are those who’ve scored a kayak/canoe storage spot here—or hitch a ride with the kids on the Como-Harriet Streetcar Line to watch the grown-ups without moving a muscle. I’ve been in Linden Hills since the 1970s, and I think the character here has stayed pretty constant. Part of it has to do with the geography: if you’re coming from downtown, for example, there’s no direct thoroughfare to get here. So even though we’re part of the city, this place feels a little separate from it, like a small town. We have a really strong sense of community—if you want to see that, just get your morning beverage at Dunn Bros. There are tables pushed together with 10 people sitting around them. Everyone’s talking with each other. What about? Well, politics, mostly. I’d say it tends to be slanted more toward the Democrats, but we don’t abuse Republicans. Not too much. Another thing that defines us is Lake Harriet. There are some great old homes on the lake that have really interesting histories. People love it, and it’s so close. You’ll see people out there walking and running every single morning, no matter what the weather. They’re crazy, of course. • Character: Marine is less a place than an idea. Physically, the town is little more than a crossroads, a wide spot in two-lane Highway 95 as it traverses the bluffs between Stillwater and Taylors Falls. But conceptually, Marine occupies an enormous space in the psyche of everyone who’s ever wanted to chuck it all and live amid rural beauty. Go ahead and visit. But be advised that you may never leave, forsaking city gridlock for the idyll life. • Food: Like someplace out of northern California, Marine isn’t fancy, but the food—like the living—is good. Take the wood-fired pizza at Olives: delish, served on paper plates. And while the tablecloths aren’t white at the remodeled Brookside Bar & Grill (or even existent), the new menu is compelling, featuring a meatloaf that locals love and one of the gooiest cheesesteaks in Minnesota. Breakfast is served seasonally at the Marine Landing, right on the river. L’Etoile du Nord, a café hung with vintage bicycle gear, is where the locals get their coffee and croissants. • shopping: Let’s be blunt: if you can’t find what you’re looking for amid the narrow aisles of the Marine General Store , do you really need it? • Culture: Marine gets a jump on Independence Day, celebrating on July 3 with ridiculously charming festivities: fire trucks, flags, kids, and all the candy they need to pursue happiness. The second weekend in October is the St. Croix Chocolate Company’s Carmelpalooza: tastings of 15 kinds of gourmet caramel. Free. That’s our kind of town. 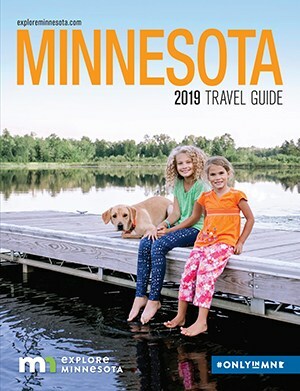 • Green space: William O’Brien State park has camping, fishing, hiking, geocaching, bluebird watching—all just a short paddle up the St. Croix from Marine (or an even shorter drive on Highway 95). The area is also a popular landing spot for day-trippers who’ve rented canoes upriver in Taylors Falls. I used to live in Minneapolis, but I grew up in Iowa. So I love that Marine is close enough to the Cities that you can get anything you want, but it’s got a small-town vibe. The other day I had to pick up something at the post office—a big heavy box—and even though my business is just two blocks away, I couldn’t carry it. I was going to get my car when a total stranger said, “I’ve got my pickup outside. We’ll just put the tailgate down, and I’ll drive you and your package back to your shop.” So I did. I didn’t know who he was, but I didn’t think twice about it! People are a little unsure about whether they want to share the secret that is Marine. You know when you know about something really good? It’s so good, you can hardly stand not to share it? That’s Marine! On the other hand, you don’t want everybody in the world showing up and ruining the specialness of it. • Character: Not to be confused with London’s West End (and sorry, you won’t be), this complex of shops, restaurants, and entertainment venues opened in St. Louis Park in late 2009. It’s designed as an urban village, with a sidewalk-lined street running through the center. Until recently, it’s been relentlessly commercial, but the addition of several hundred residential units just north of the main buildings promises to infuse the area with permanent residents later this year. Though the West End has struggled to fill all its retail space, it’s not lacking for visitors—you’ll park on the ramp’s roof on a Saturday night—and this may be the year it fully flowers. • Food: Cooper, an Irish pub conceived by the Kieran’s brain trust, has worthy fish and chips and a wide selection of beers and whiskeys, attracting a boisterous crowd on weekends—everyone who sipped Guinness at The Local 10 years ago. Come early to stake out patio seats. Little Szechuan and Raku Sushi serve up spicy noodles and fresh sashimi, respectively. Crave caters to every desire, sushi to burgers, while the resurrected Figlio has all the social vibe of the Uptown original, with perhaps fewer pick-up lines and more gossiping about babysitters. You’ll want a reservation now. • Shopping: For the fashionably fit, this is their closet-in-waiting. Yogis wriggle into something sweat-wicking at Lululemon, while moms-to-be browse Hot Mama. A mix of high-end and affordable clothing is spread across Apricot Lane, Anthropologie, Charming Charlie, Primp, and White House/Black Market. Guys pick up suits and sweaters at JoS. A. Bank. • Culture: There’s something sci-fi about the Icon and its quiet corridors of theaters, everyone ducking in to be entertained. It also occasionally hosts film festivals. Suburban cowboys and girls in tight jeans and tall boots pack Toby Keith’s I Love This Bar & Grill, recently nominated by the Academy of Country Music for nightclub of the year. 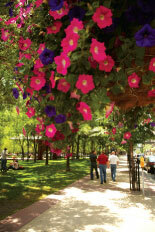 • Green space: Parks? Not so much. Parking? Plenty. Crave was the second business in the West End, after the Icon theater. The theater is hugely important: there are a lot of options for movie theaters in the west metro, but Icon has the VIP seating, advance ticketing, lots of screens. It makes the West End a destination. We get a lot of business people from General Mills and Allianz. We see ladies who lunch and moms with strollers, women heading to Lululemon and Anthropologie. Happy hours fill up with young professionals in that 25-to-35 range—the cocktail crowd. And there’s heavy dinner business, even on a Monday or Tuesday. I’d say the West End is the new Uptown for the 30-plus crowd. It’s one of the reasons we felt so confident about bringing Figlio here. We knew people had strong feelings about that brand. This is the group that lived in Uptown 10 or 20 years ago, and now they’ve moved out to the suburbs. This is their new playground. • Character: Excelsior may mean “ever upward” in Latin, but the chief charm of this burg is its resilience and resistance to change—foolish change anyway. It’s evolved, certainly: the grand hotels that attracted Southern belles and beaus to cool off here in the 19th century were torn down long ago (along with the amusement park that drew Twin Cities thrill-seekers for much of the 20th century). But the beaches, laid-back vibe, ice-cream shops, and Lake Minnetonka breezes remain. • Food: The three-block span of Water Street is a spin around the world: chicken tinga (Lago Tacos), shepherd’s pie (Jake O’Connor’s Public House) , caterpillar rolls (Yumi’s Sushi Bar), and date-night-worthy scallop carpaccio and deconstructed banana-cream pie (Biella). • Shopping: From antiques to boutiques, Kiehl’s to Kosta Boda, the shops along Water Street offer some remarkably varied browsing. It’s a bookworm kind of place, and eccentricity is abetted, from the lovingly curated selection at Excelsior Bay Books to the taxidermy at Tony’s Barber Shop (if there’s a mongoose and cobra tangling with each other in a store window anywhere else, let us know) to the motley mix of merchandise—lampshades, wind socks, oven mitts—packed into Leipold’s Gifts & Antiques. • Culture: Summer stock never goes out of season at the homey Old Log Theater , specializing in door-slamming farces, family dramedies, and intermission strolls around the florid grounds. Excelsior’s galleries are exceptional, and Art on the Lake (June 8 and 9) has one of the most picturesque art-fair locations around. • Green space: Excelsior has the best public shoreline on Lake Minnetonka, a respite from speedboat nation. Bike here on a sunny day and spend the afternoon lounging at the Commons , a popular park and beach. Locals tend to take woodland walks around the smaller, quieter waters nearby: Studer Pond, College Lake, Mitten Pond, Mud Lake, and Galpin Lake. It’s small—about a square mile. You can walk to the library or church. Go home for lunch. When I was growing up, we had four groceries, a meat market, two drug stores, a shoe store…. I was in the first Apple Days parade with my doll buggy in 1935. Now we have lots of nice dress shops and gift stores. We’re the downtown for the surrounding towns—Shorewood, Greenwood, Tonka Bay. We’ve had Fourth of July fireworks on the Commons for more than 100 years. There’s Art on the Lake, which draws 200 artists. People move here from Edina and Eden Prairie. What are they looking for? Neighborliness. That’s what people want these days. It doesn’t take long for a house to sell. Honest to Pete, I don’t even know if there are any houses on the market right now! People don’t want to leave. • Character: Ground zero for the girlfriend getaway, 50th and France lives up to its reputation as a shopping destination. If anything, it’s recently padded that rep with independent stores, high-end salons and spas, and spendy restaurants. Bring your highest expectations and your highest credit line—pampering comes with a price. • Food: A recent restaurant boomlet has added several new options to the already strong mix. Among the favorites are Salut Bar Américain , mostly French with a side of burgers and an upbeat atmosphere. Mozza Mia is a high-energy joint that makes its own mozzerella and limoncello. Quieter evenings begin or end at Beaujo’s wine bar, while the cozy Pig & Fiddle has an off-the-beaten-path pub-grub menu and an extensive beer list. Two blocks away is the new Red Cow, a bustling burger, beer, and wine joint. • Shopping: An underachiever here is someone walking around with just one shopping bag. The intersection is anchored by popular chains like Anthropologie, Sur La Table, and Athleta, but the real reasons to come are the high-end boutiques, like the ritzy Grethen House , custom stationery and invitation store Paperista, and consignment-clothing shop Fashion Avenue. Other popular stops on the retail trail include Bluebird Boutique and children’s clothing store Goodnight Moon. Spalon is a longtime favorite for urban spa retreats. • Culture: Edina Cinema , with its smart mix of independent, foreign, and mainstream flicks, is the go-to spot for date nights and mini-weekend escapes (Mozza Mia has a dinner/cinema deal). The Edina Art Fair takes over the sidewalks once again with 300 artists from May 31 to June 2. • Green space: No one’s here for a nature retreat, but just a few blocks south of 50th and France is Arden Park , a lovely 18-acre respite where you can stand on a bridge and watch the waters of Minnehaha Creek or picnic while the kids blow off steam on the massive playground. One of the best ways to experience our neighborhood is to come for a girls’ weekend. Come shop at our upscale boutiques, eat lunch with friends at one of the new restaurants, and get your hair and skin done. You’re outside in the fresh air, not in a mall, and everything is close together, which makes it a great little area. Another thing that distinguishes this neighborhood is the service. That’s true not just in our store, but places like the bra-fitting store La Bratique, beachwear store Nani Nalu, and shoe store Lady Slipper. We want to make you feel great about yourself. We want you to be able to just walk in and let us listen to what you need and pull things that maybe you wouldn’t think of yourself. • No one really needed more alcohol in northeast Minneapolis. But the boom in microbreweries there (four opened or planned so far) is practical and fitting. After all, there are empty warehouses to move into and empty stomachs to fill. (Like Williamsburg—the one without all the colonials—on the cheap.) Mostly there’s history, as the old Grain Belt brewery casts a castle-like shadow over the artsy entrepreneurialism in its midst. Yet it’s the mix of old and new that’s most intoxicating. The sleek taproom of Indeed Brewing occupies part of the 98-year-old Solar Arts Building on a cobblestone street. A 10-minute walk away, 612 Brew serves Indian street food in a brick-and-timber warehouse, with a micro-amphitheater fashioned of huge blocks from the old Metropolitan Building, the city’s first skyscraper. To drink here is to toast all that’s cool, past and present. • All suburbs are not created equal. 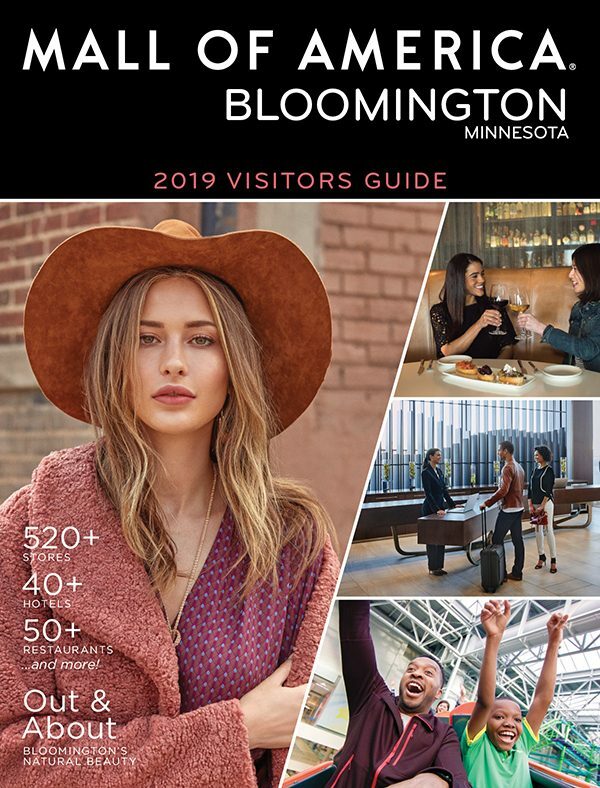 Take Burnsville, which has endeavored to create its own arts-centric downtown, albeit with some arguably unnecessary branding (Heart of the City). Anchored by the Burnsville Performing Arts Center (recent acts: Tracy Morgan, Clint Black), the big-city amenities come with an inevitably small-town feel. Hip moms and trendy teens dish about each other over Merlot and cappuccinos, respectively, at Jo Jo’s Rise & Wine. In the summer, Nicollet Commons Park hosts movies and music. Even the food feels more urban than suburban, thanks to Jamal Ansari’s sophisticated Mediterranean Cruise Cafe. The Minneapolis skyline is visible from the shallow stream coursing through this suburban oasis, beckoning at sunset. But once ensconced here, you’re unlikely to feel any need to head downtown. 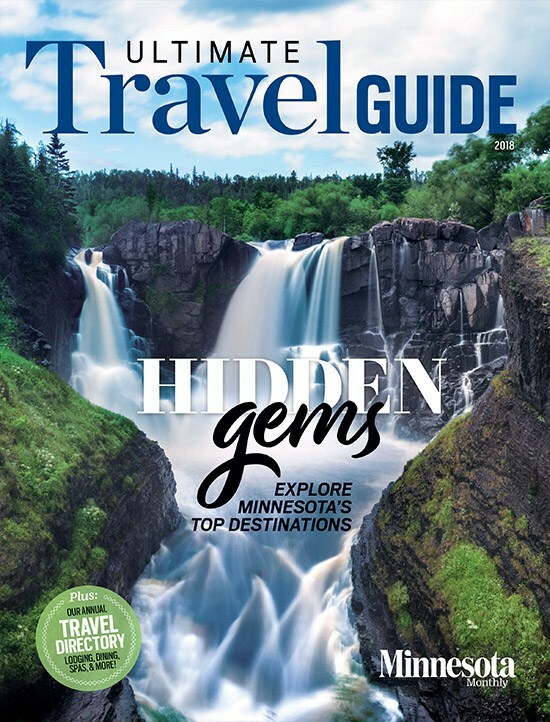 • Robbinsdale is a practical place with slim rectangular ramblers and trim squares of lawn—and if no one’s selling postcards of its unassuming, authentic downtown, that’s no skin off its down-turned nose. Instead, Robbinsdalers put their money where their mouths are, with restaurants that put a premium on great food with little fuss. Travail, or rather its successors, is foremost: the pioneering gastropub is opening a pizza/charcuterie spinoff down the street this month while reinventing itself as the Rookery, a tapas bar. Then there’s La Cucina di Nonna Rosa, a homey wine bar and traditional ristorante. But what makes this a great neighborhood is the attention paid to such staples as the classic butcher shop Hackenmueller Meats and the fresh bread at Wuollet Bakery. Come back often enough and soon you’ll be checking out those ramblers. This old streetcar node has been reclaimed by and for creativity. On any given night you’ll find glass and metal being molded to the imagination in the Chicago Avenue Fire Arts Center, and, soon, artisan treats being fashioned in the City Food Studio. With any luck, Wing Young Huie and some unsuspecting victim will be playing Ping-Pong at his photography studio, The Third Place Gallery. That’s to say nothing of the cool, eclectic home goods on offer at Covet Consign & Design, where, every second Thursday, the work of a different artist is featured. Or the Fox Egg Gallery, a charming co-op of artists and designers for hire. Or, for that matter, the murals that cover nearly every building here, a kind of outdoor gallery—and graffiti abatement—that marks this neighborhood as a true phoenix, rising on colorful brick wings.